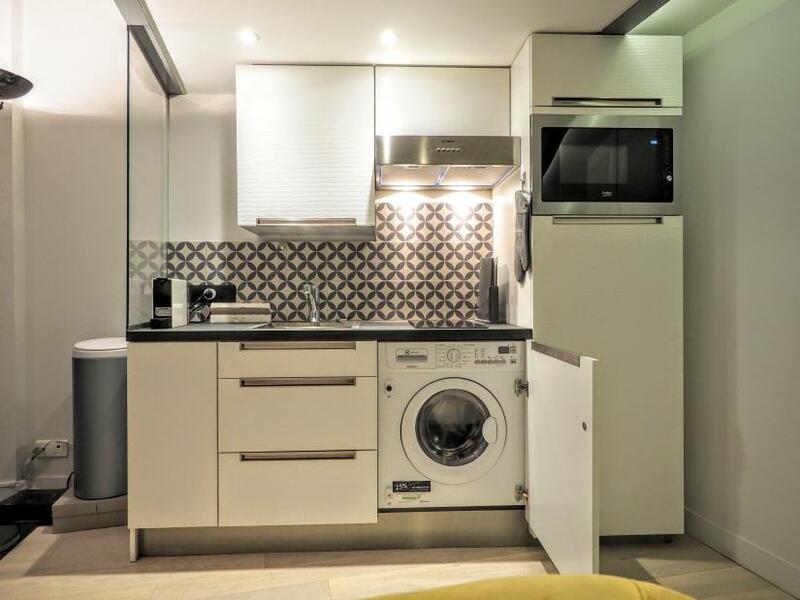 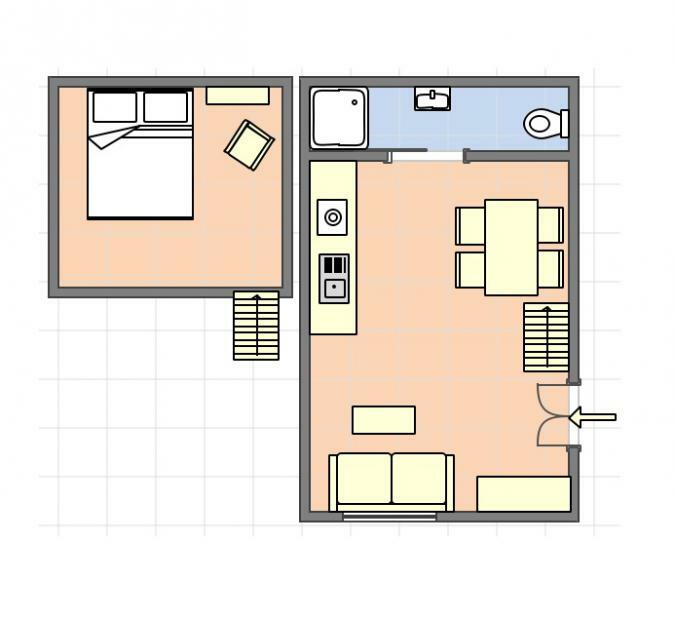 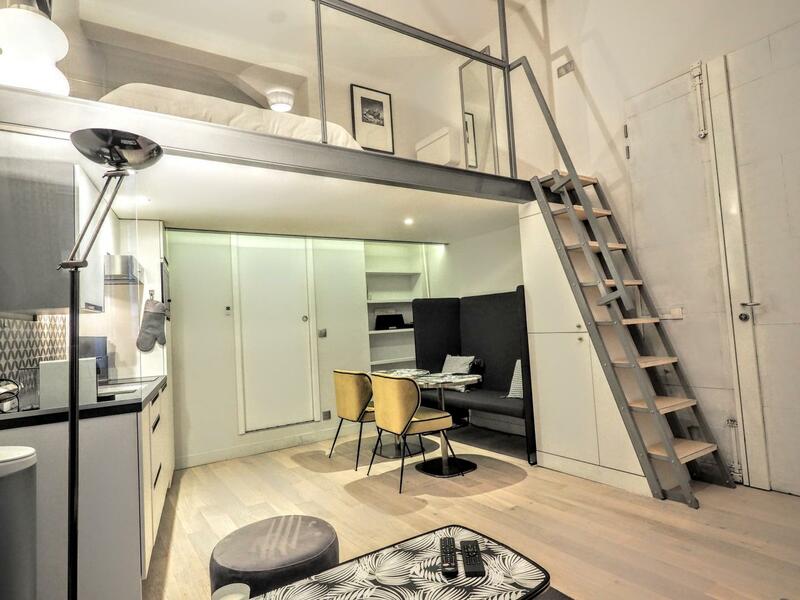 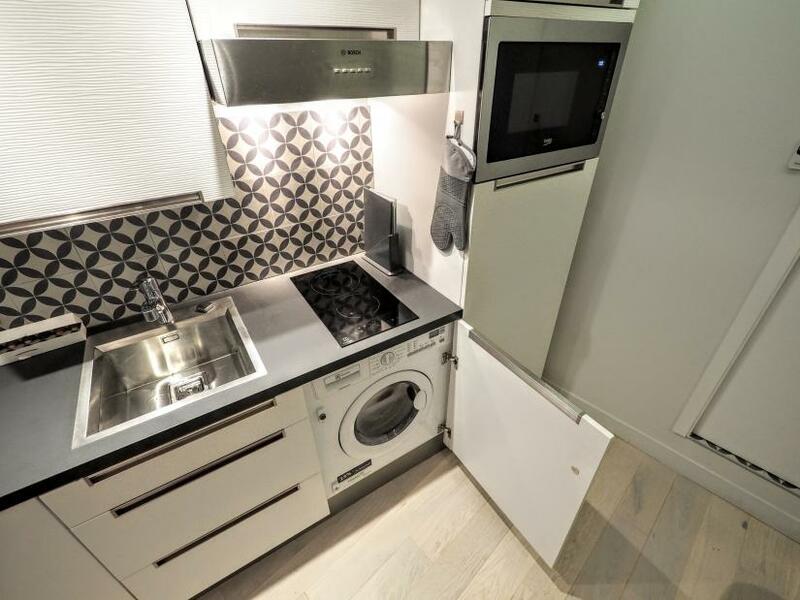 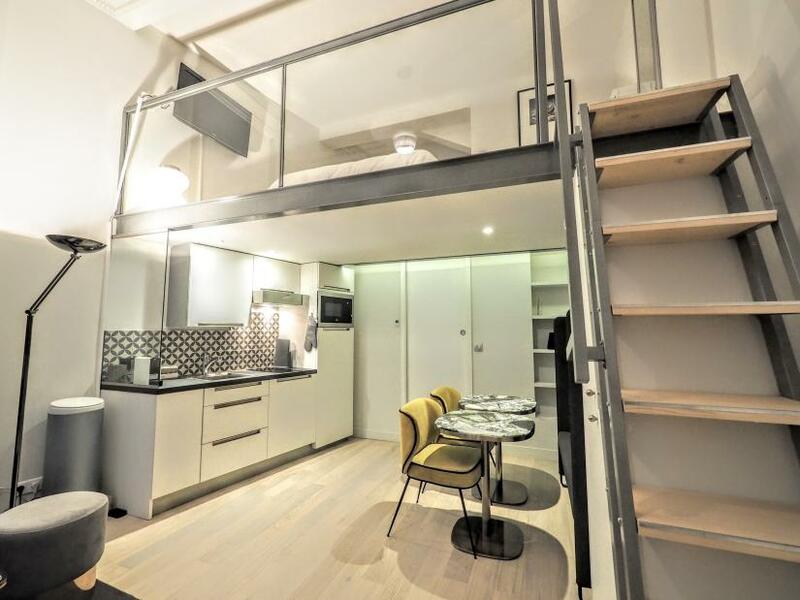 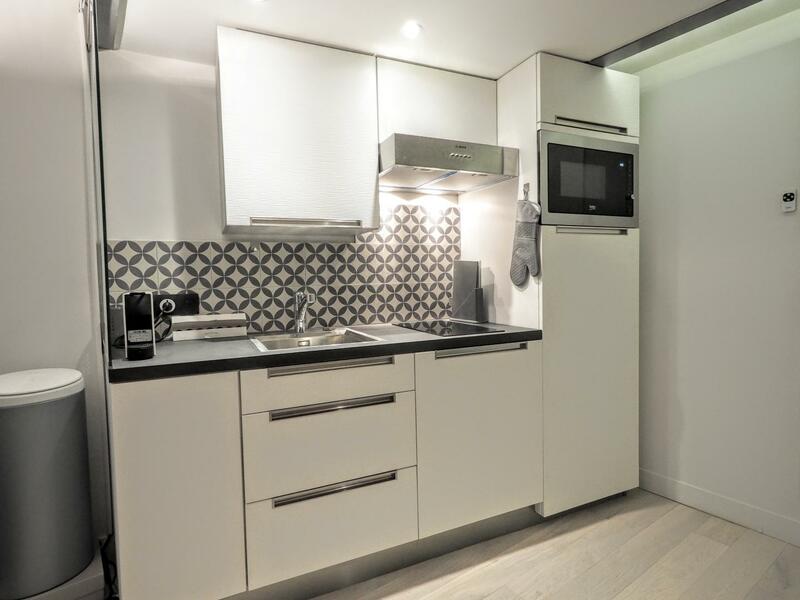 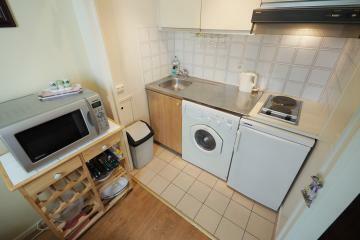 Charming fully equipped studio offering a very cosy bedroom wich is on a large secured mezzanine (1.82 high). 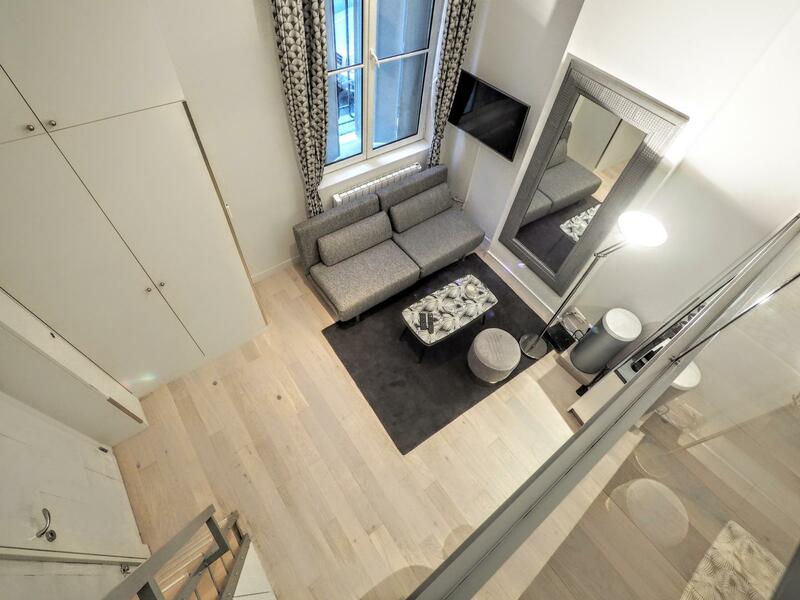 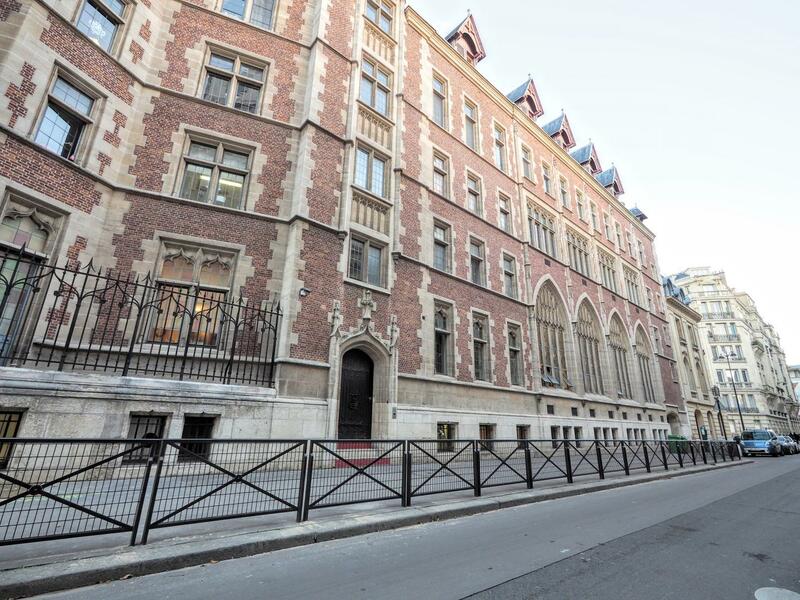 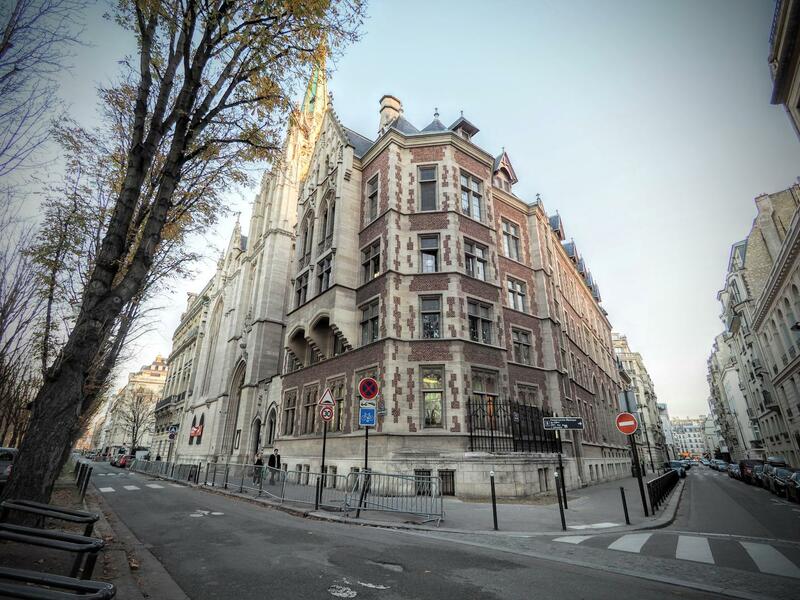 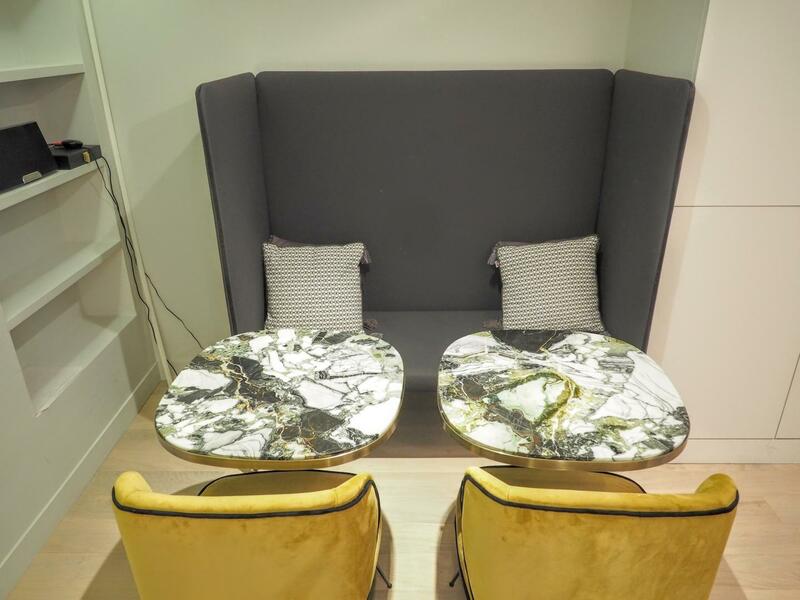 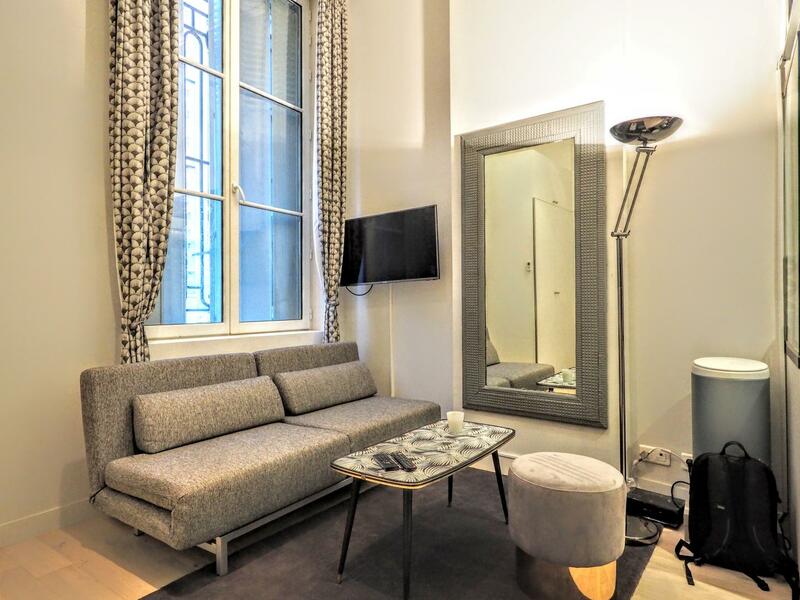 This Paris apartement rental is beautifully located in the elegant 7th arrondissement, near the seine docks which are now converted into pedestrian sport facilities and bike paths which allows to go erverywhere in town. 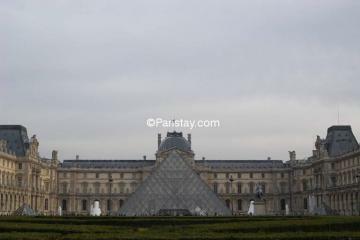 Easy transportation links around (Metro Alma, RER Invalides, Bus 63, Terminal Air France Invalides). 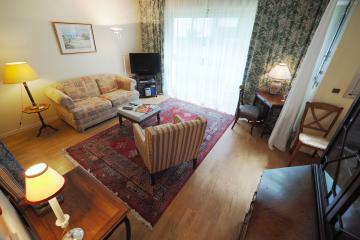 The apartment is situated next to the American Chrurch, on the groundfloor of a private building. 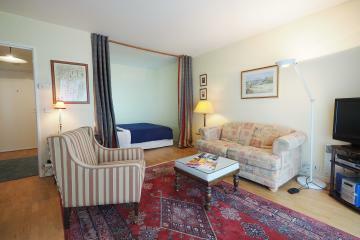 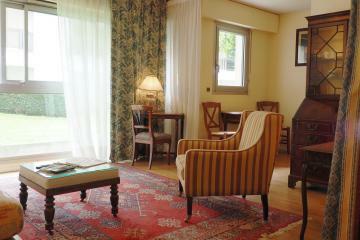 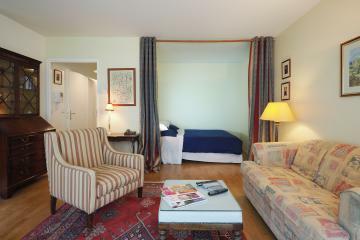 It has been totally renovated, tastefyully decorated in a contemporary spirit and fully equipped with quality furniture. Spacious living room offerinf a cosy area with a sofa bed and a TV, an open kitchen corner and a dining corner for 4 people. 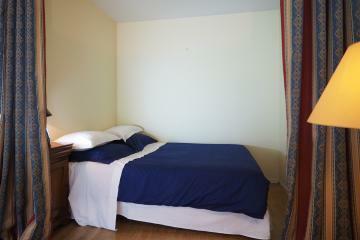 A secured staurcase leads to the bedroom which offers a queen size bed and a TV. 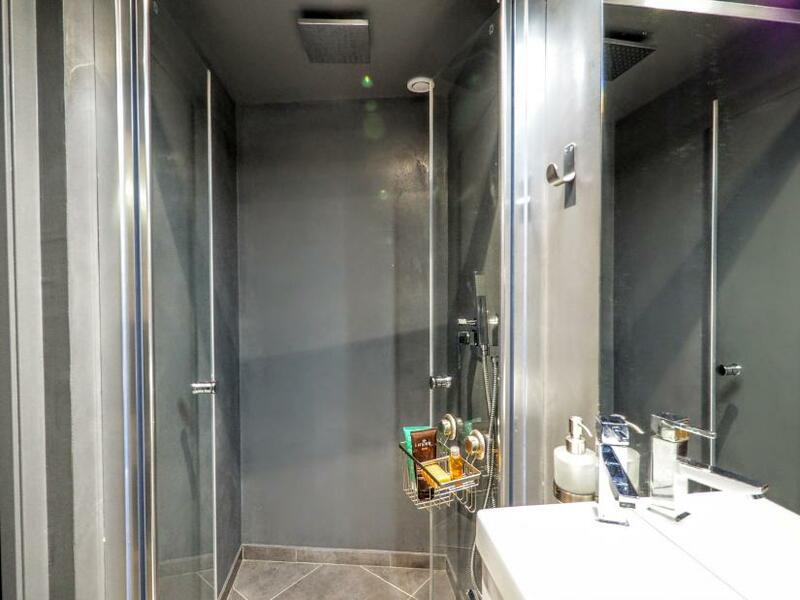 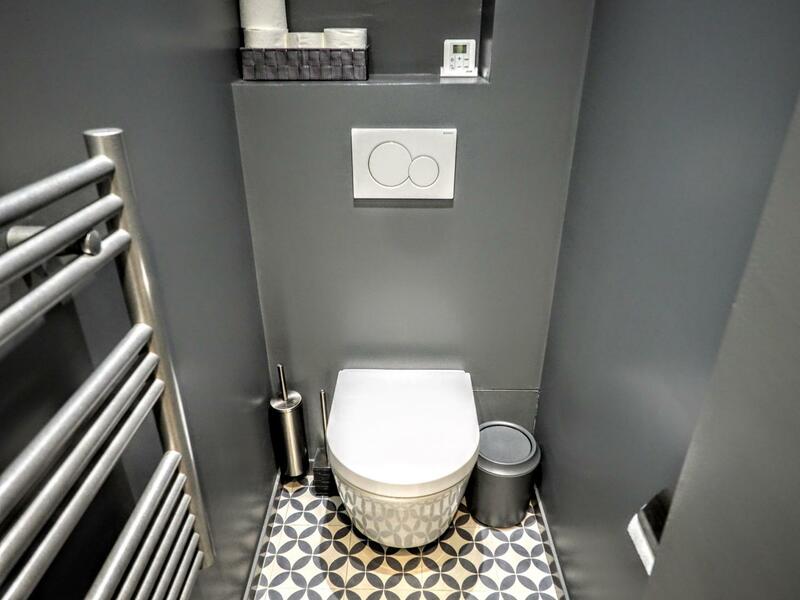 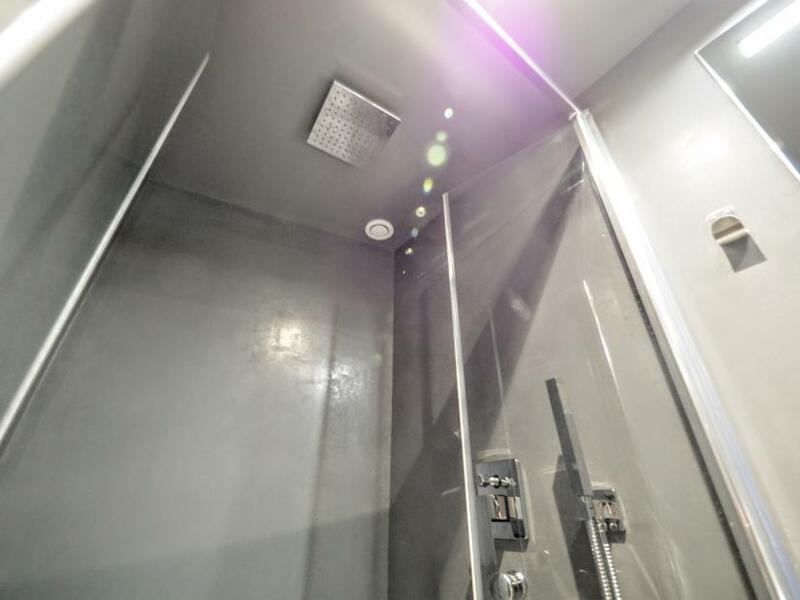 Bathroom with an italian shower and toilets. 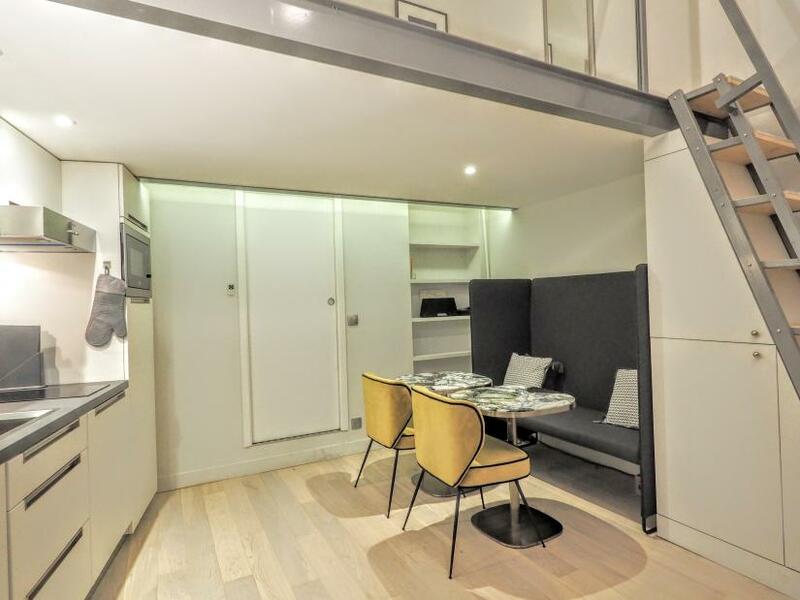 Large cupboards able to welcome all your storage. 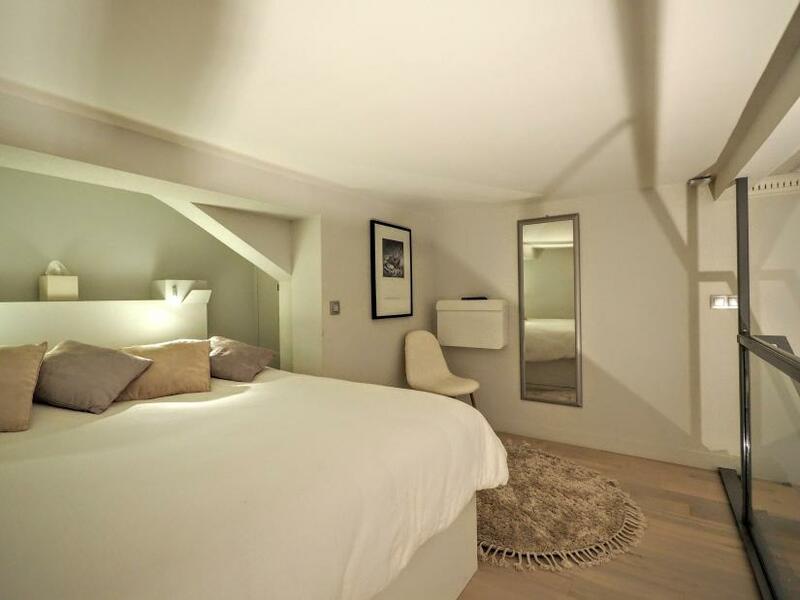 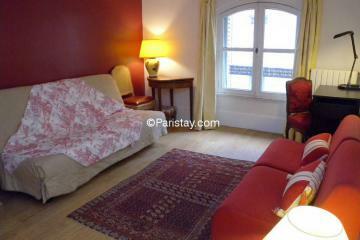 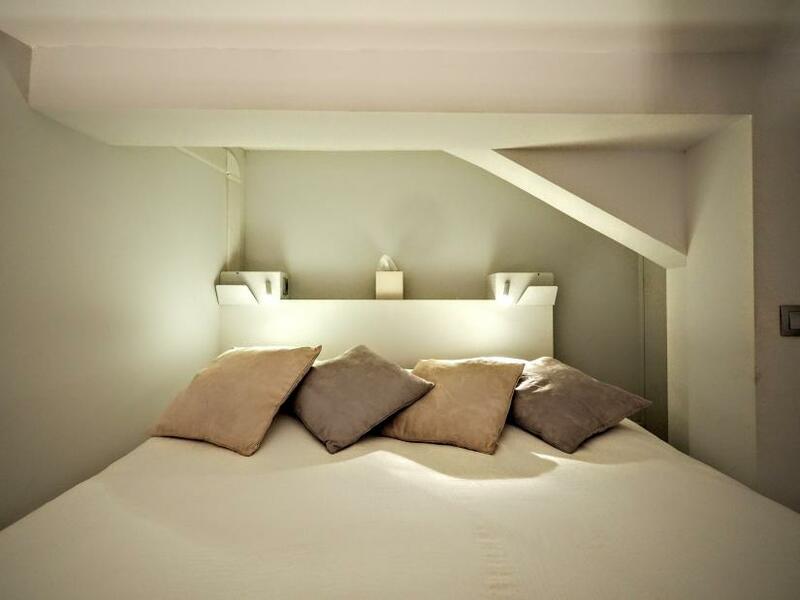 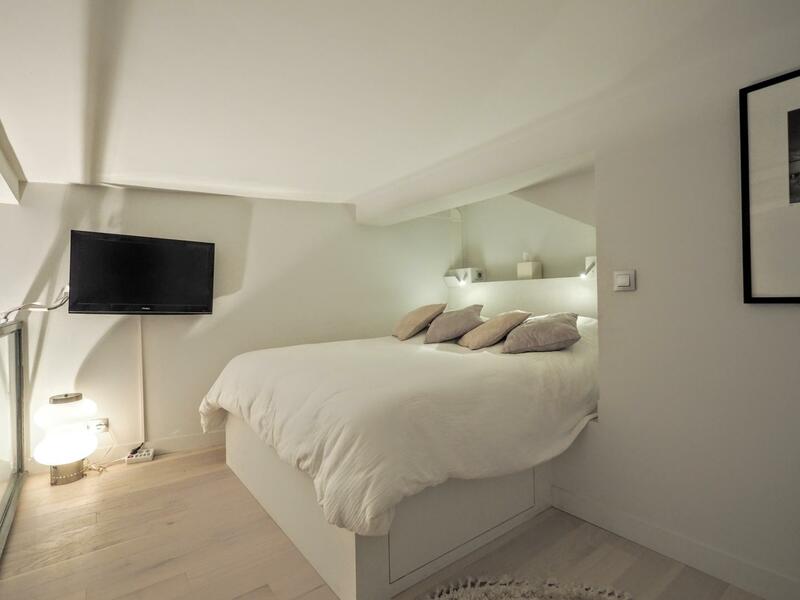 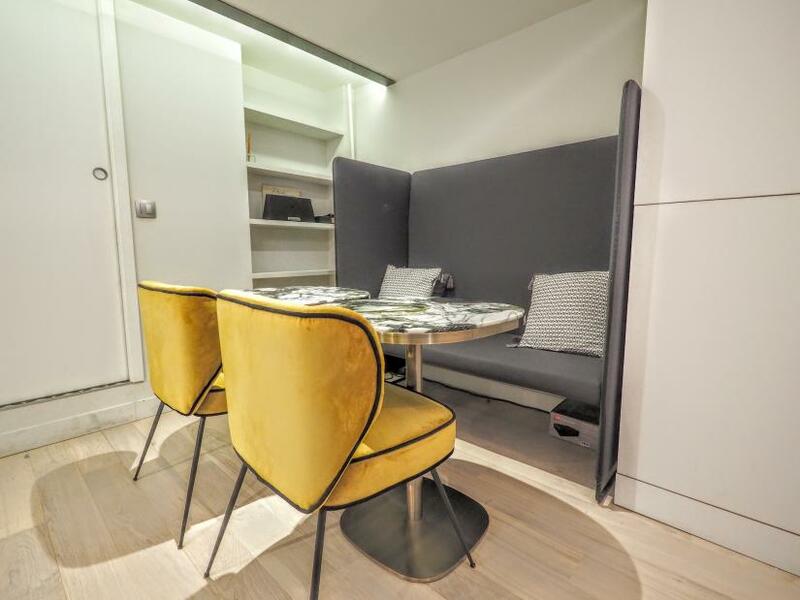 This apartment will be perfvect for your next long stay rental in Paris. 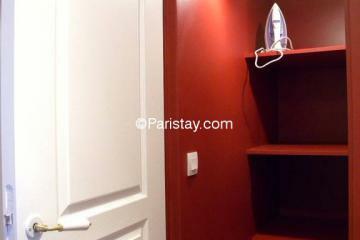 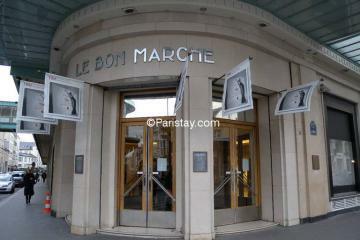 ground floor, without Lift, Studio Appartement, furnished, Approx: 31m² / 333 Sq.Ft.